This entry was posted in Communication, Media, PR and tagged Ben Cotton, comms, communications, graduate schemes, graduates, interns, internships, PR, public relations, publicity. Bookmark the permalink. 15 Responses to Graduate schemes: are PR agency bosses failing graduates? 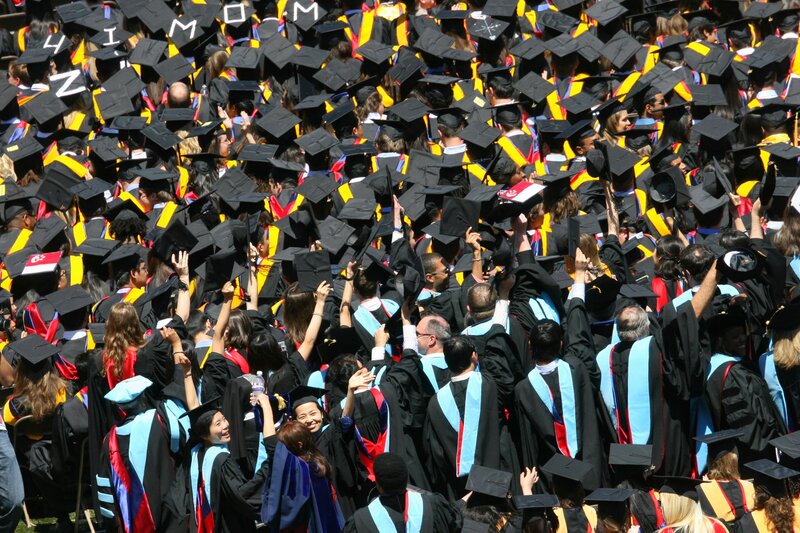 Nurturing graduates should be a fundamental part of what all PR agencies do. It’s not just lip service to say that they are the future of the industry. I have a number of amazing managers on my team who started off on our Grad Programme and, thanks to the ongoing training and support they have received, have been responsible for bringing in and then retaining some fantastic clients here. Graduates do come with raw talent and great ideas, which is obviously invaluable, but these need to be harnessed and nurtured by a senior team, who are prepared to spend time and money on turning them into slick PR operators. As for not paying interns, it’s an absolute disgrace. A day’s work deserves a day’s pay. End of. Its a tough market for graduates, with companies asking for experience, but not willing to give you that experience (in every sector not just pr). I graduated last year, and after applying for pr jobs non stop for 4 months i finally got a communications assistant job, through the governments (now non existant) future jobs fund at a housing association. The last place i would have looked. PR agencies do offer grad schemes and internships, but they only offer it to a few people. this is where the problem comes. 100’s of people 1 job. maybe 2. Sorry prematurely posted that. Its fully understandable that companies dont want to invest in young people without experience. especially in these tough times. As it is a gamble. one that they dont see as worthwhile. I dont have a solution, but government programmes like the fjf can help. public sector companies may be able to start employeeing graduates where they outsource, or even in accomoanyment of outsources. we need to push future graduates to try and get experience prior to graduating, or volunteering… tbh i dont have an answer but i dont think we can make companiea give us much… we gotta go out there and get it ourselves. Blog, make your presence felt on social media before you graduate. Emma – Totally agree with you, if you invest in the people, you will build a team of good and loyal staff who will stick with the company and make it a success. Glad to hear it worked for you. Pratyesh – Great to get the perspective from somebody who has gone through the process so recently. I think the point you make about building your online profile is a vital one as it is true that competition is tough for graduates, especially when specifically competing for grad schemes and not just unpaid internships. Seeing how important social media is these days, im surprised it hasnt got into the curriculum at school… its still banned on most school computers… Atm kids use social media but are casual users. they dont know the true potential how it xan be used. even in uni when they give you career training or guidance, not once did they tell me to join twitter, follow and engage withpotential employers on there. Or to start writing a blog, getting my name out there in some capacity.even if 2 people read it… its 2 more than before. There are things in the world you wont be able to change, like the economy, your competition , the number of grad schemes. They are all out of your control. we need to stop focusing our energy on that, but find new ways make our self hurt. Why focus on the problem, when you can focus on a solution. We need to start upgrade our teaching methods and the way we tell our graduates to find a job. sorry if this sounds whiny an slightly rantish, but im just writing as i think it. I think you’ll struggle to find anyone who will say that investing in graduates (and other new blood entering the PR sector) is anything other than vitally important. But there are a few socio-economic realities in play here that trump this outlook. Some agencies are still in a bad way following the downturn that kicked off in 2008. For the owners and managers of those agencies, their priorities are to keep afloat – it’s a day-to-day kind of mentality, which one can argue is not the best way to conduct a business. But it is hard to fault, really. They have staff to pay, clients to keep happy, their own bills/mortgages to consider. So they take a short-term view in order to just keep going. A few agencies are growing – some in double-digits, but not many. These, of course, will need to take on new staff. But, as someone said to me only a few days ago, why hire a graduate who got two grade C A-levels and went to a university you’ve never heard of, when you can, for the same money, hire someone who graduated from one of the top universities. The bald facts are, when a PR agency can attract Oxbridge graduates who, frankly, are delighted to have found work at all in the currently shitstorm of a job market, where is the incentive to run the kind of graduate programme we are all more familiar with? The point about recent PR entrants feeling they are being asked to take on tasks they are not prepared for is interesting. But I’m convinced it points to a derogation of duty on the part of the old hands within agencies. I’ve read, as I’m sure many people have, survey after survey on the expectations of the so-called Generation Y which seem to indicate they want/expect to be spoon-fed to a greater degree than previous generations. Such research also indicates that there’s an expectation of being rewarded early. A bigger challenge for business leaders – in any sector – will be adapting themselves and their organisations to meet these altered expectations of people entering the workplace without sacrificing quality and standards. Sean – I see your point in terms of the economic issues facing agencies at present, but don’t necessarily agree in entirety. PRWeek reported 9.24 per cent average growth for agencies in this year’s Top 150 report. Surely this indicates a need to recruit? There are also two issues to this; the issue of actually recruiting staff, and how those staff are then supported and nurtured in the working environment. What I have found when chatting to those in the industry at the lower levels of agencies (graduates through to senior account executives) is that new accounts are being won but additional staff are not being recruited. Junior staff are then given additional responsibility but my concern, particularly where graduates are concerned, is that these staff are not paid the necessary care. This doesn’t come from formal research, but from many a conversation I’ve had during my time in the industry with staff at this level. I understand that, in these times, it is a huge bonus to have a job, but if an agency is recruiting staff, especially very young staff, in my view, they have a responsibility to them as people, not just as workers. This isn’t just of benefit to the staff member but, as Emma points out above in her comment, to the agency as well. You will retain staff who will be loyal to you through good and bad times. And, let’s be fair here, it doesn’t take much from more senior staff members to *communicate* with the junior staff they are managing to look out for their well-being. Again, when chatting, this has been a common complaint of many a grad/account exec, that they are not listened to. Or, that they engage in dialogue but nothing is done in support of their concerns, instead being left to muddle on. I’m not for spoon feeding, it breeds a nanny culture, but support where support is needed is surely what we owe to junior staff members to ensure they get something out of their early working lives. In terms of the Oxbridge candidates, I’m not convinced that they are the only grads worth considering, despite the severe competition at present. In my view, there are many more practical skills required from a graduate that might or might not be embodied in someone with a double first in PPE from Oxford, for example. I’ve met some excellent grads who have graduated from a variety of unis in a whole host of subjects. In my opinion, diversity, in this industry, is vital for the survival and, indeed, growth, of a comms agency, particularly in the current economic climate. @MarkPinsent A useful analysis would be whether PR is better or worse than other sectors at taking on and developing grads. @PeterHay Agree pan-industry analysis is useful but, based on feedback from PR kids, bosses + Ben’s list, PR ind. needs to look within. @MarkPinsent Don’t disagree. Always room for improvement. Issue is that most agencies don’t need to bother. @PeterHay Not sure about that. I’ve heard, countless times, PROs bemoaning a lack of ‘quality’ staff availability at certain levels. @MarkPinsent Plenty of keen, bright junior people but they’re not being developed into strong account managers. @MarkPinsent In fact this year’s PRCA Young Communicator of the Year joined Shine as a grad in 2008. @PeterHay Exactly, such a waste. Or they aren’t nurtured and change industry. A friend of mine experienced it recently. @KellySDavies Of course! Feel placement year was best aspect of my PR degree. Bite was very good. Had most awesome mentor. Top experience. @PeterHay Cheers! A really exciting time to be at Bite, too. Placement years *are* useful, most people I know who did them gained a lot. @KellySDavies Have come across young peeps who want a lot and want it soon though. Move on quickly, feel they are ‘owed’ a living almost. @KellySDavies Loyalty isn’t what it used to be so I guess down to employees to address that. Inspire and ignite the passion. Give good opps. @PeterHay Definitely is a balance there, but I think being led from the top is important to set the tone. Stephen – I think, again, this is one issue, that I agree with you on, but not the main issue I’m discussing in my post. I understand that there are issues around the volume of grads coming through but my key point is about how the young people coming into the comms industry are managed, not how many can be employed: quality over quantity. To respond to the volume issue though, the PR apprenticeships initiative is a great one to give young people other options beyond that of going to university. The idea that 50 per cent of school leavers should go to university, an unsustainable ideology created by Tony Blair’s Labour Government, is the reason this country finds itself in this position and I feel it is important that schemes such as that which the PRCA and Pearson announced this week, are vital to move away from this and give young people other options to build their career. More of these initiatives should be considered for other industries as well. As MD of Speed, I would welcome your views on the idea of agencies ensuring they can provide an environment where graduates learn and are valued, though. Perhaps a comment in response to dialogue between Sean and I, above?